The Economist has released a set of audited statistics that show combined print and digital circulations, social media followers and newsletter subscribers. A total of 5.6 million social media followers, including: 2.8 million Twitter followers, 1.1 million Facebook likes, 1.6 million followers on Google+ and 55,000 Tumblr followers. In addition to worldwide data, each regional edition is featured in a separate section in the report. According to a release, this is the first ‘consolidated media report’ for the title, which has been released by Audit Bureau of Circulations North America, with support from ABC UK. The full stats, which are worth a look, are at this link. This entry was posted in Journalism and tagged the Economist on September 11, 2012 by Sarah Marshall. Mashable has taken a look at three paywalled sites: the Dallas Morning News, the Economist and the Honolulu Civil Beat. It has talked to community editors on the titles about how they promote stories via social media without incurring the wrath of angry readers who follow links to then find they are blocked by a paywall. Travis Hudson, a Dallas Morning News web editor, manages the site’s Twitter account and Facebook fan page, where he shares both free and premium content. Like any good social media strategist, transparency is key for Hudson. He designates whether a link is behind the paywall when posting it on Facebook or Twitter. Social media helps the site reach subscribers, regular readers and new readers by the means most convenient to them, while providing an opportunity to spark discussions around the Economist’s coverage areas. “Readers who are empowered to participate are likely to spend more time with the site, return more often and become more active advocates of our work,” [Mark Johnson, The Economist’s community editor] says. With the metered model, Johnson and other web producers can share any articles on social networks without experiencing the backlash of readers’ inability to access the site. Perhaps more importantly, they’re able to bring in more traffic. Online-only local news site the Honolulu Civil Beat is coming up on the one-year anniversary of its launch. Though content is and always has been free through email, the site initially gave only partial access to visitors who came through social networks. Beginning January 2011, however, all visitors can read all articles until they visit regularly enough to be asked to become a member. “We figured, if they’re reading us that much they would be happy to become a member, and we’d be happy to have them,” says Dan Zelikman, the Civil Beat‘s marketing and community host. There is no specific threshold number. Rather, the site runs a custom program that asks a reader to subscribe based on how often and how much he or she reads. “Basically, if you read a couple of times a week, it will take a while before we ask you to register,” Zelikman says. Reading access aside, the Civil Beat’s subscription model fosters community by only allowing members to comment on articles. In addition, subscribers experience the site without advertising, a perk that’s particularly popular with the community. Mashable’s full article is at this link. This entry was posted in Editors' pick, Online Journalism, Social media and blogging, Traffic and tagged Dallas Morning News, Facebook, Honolulu Civil Beat, mashable, paywalls, the Economist, Twitter on April 13, 2011 by Sarah Marshall. British news publishers are leading the way in the iPhone app download charts, according to rankings displayed in Apple’s iTunes store. At the time of writing, they also appeared in the same ranking for worldwide news apps. Journalism.co.uk’s own free news app, which features this blog, our main news, editorial job listings and press releases, is currently ranked 72. This entry was posted in Mobile, Traffic and tagged Apple Inc., BBC News, FT Mobile, iPhone, iTunes, ITunes Store, MacUser Magazine, macworld UK, MailOnline, Sky News, smartphones, the Economist, The Guardian, The Scotsman, The Sun, This is Bristol on December 30, 2010 by John Thompson. 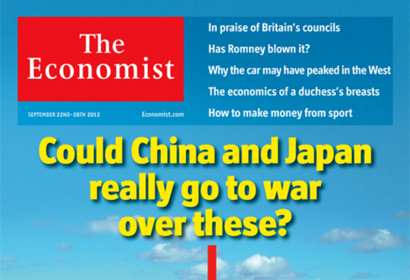 The Economist has today launched apps for the iPad and iPhone. The apps can be downloaded for free and offer users a weekly sample of articles chosen by the editor. The full issue of the Economist will be available to purchase through the applications every Thursday evening for £3.49 each week for a single issue. Digital and print subscribers to the Economist will receive full access to the print edition and website’s content via the apps. Oscar Grut, managing director of digital editions for the Economist, says in a release that he expects digital downloads to match the title’s print circulation of 1.5 million “in a relatively short period of time”. He hopes the free apps will help attract new readers to the title, who will be encourage to take out subscriptions to the full edition. We have reformatted the newspaper to make the most of iPad, iPhone and iPod touch while retaining the familiar feel of the Economist, with all the articles, charts, maps and images from each week’s print edition. And we have integrated our audio edition, read by professional newscasters, for easy switching between reading and listening. We have put a lot of work into making sure that these new versions of the Economist are not just easy to use, but also make our readers feel at home. This entry was posted in Mobile, Newspapers and tagged iPad, ipad apps, iphones, Mobile, the Economist on November 19, 2010 by Laura Oliver. Peter Preston: Can the Economist succeed where Newsweek has failed? America is a huge, scattered country. Before mass television, before satellite printing and long before the internet, it needed news magazines to set a national agenda and provide a common framework of fact and perception. It needed Time and then its slightly more liberal competitor, Newsweek. But now the national agenda rasps away on cable 24/7. Now the facts are familiar and the perceptions old hat by the time they drop on the mat. Now readers don’t want to be told what’s happened in the past seven days, but how it fits and what to think about it. They need analysis and context, in short: not old, broken news. They need The Economist. This entry was posted in Editors' pick and tagged Magazines, news magazines, Newsweek, the Economist, us on May 10, 2010 by Laura Oliver. Economist executive editor Daniel Franklin talks about how the Economist has developed its writing style and why a lack of bylines in the newspaper doesn’t mean a lack of individuality. Full post at this link…. This entry was posted in Editors' pick, Social media and blogging and tagged blogging, Daniel Franklin, the Economist on March 23, 2010 by Laura Oliver. Who? London bureau chief for Time Magazine. What? Started her career at the Economist in the 1980s; frequent speaker at events (eg. at the LSE). Where? On Twitter / Time Magazine. Contact? On Twitter or via Time Magazine. This entry was posted in Recommended journalists and tagged catherine mayer, the Economist, time magazine, Twitter on November 30, 2009 by Judith Townend. 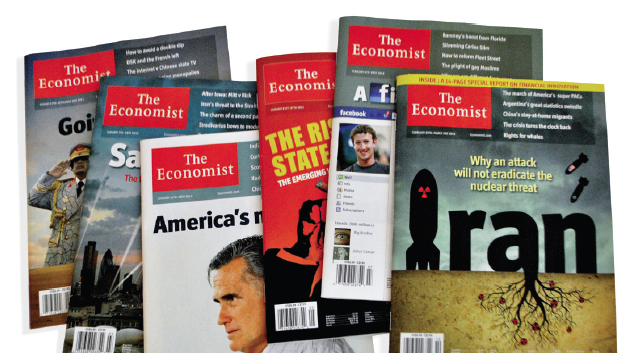 In June FoliMag reported that the Economist’s profits were up 26 per cent for the last fiscal year. NB: The Economist calls itself a newspaper, not a magazine: see the website for a lengthy description of its history. This entry was posted in Advertising, Editors' pick, Magazines and tagged Chris Stibbs, director finance, Economist, finance, London, overall advertising, the Economist, the Economist Group, The Guardian, USD on July 3, 2009 by Judith Townend.